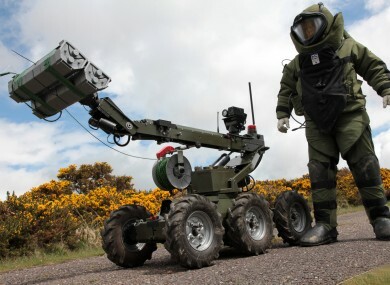 EARLIER TODAY, THE Defence Forces were called to the Mayfield area of Cork city to attend to two suspect devices. At the request of gardaí, the bomb squad attended the scene while a cordon was set up around the area. Both bombs, or IEDs, were made safe by the bomb disposal team within two hours of arriving, by 4pm. The devices were kept by the Defence Forces for further examination. Other evidence was handed over to gardaí to help with their own investigation. Email “Defence Forces defuse two suspect devices in Cork city”. Feedback on “Defence Forces defuse two suspect devices in Cork city”.